Home > News > Post BIMSTEC 2018, Now Nepal Eyes 19th SAARC Summit! India and Pakistan should come together for the 19th SAARC Summit, said Nepal Foreign Minister Pradeep Kumar Gyawali at the Raisina Dialogue 2019 during January 08-10, 2019. 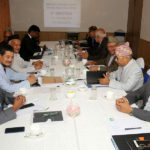 Pushing ahead the decision on convening the 19th SAARC Summit, Gyawali urged India and Pakistan to resolve issues and facilitate ways for conducting the Summit at the earliest possible. Gyawali raised this issue of long-stalled 19th SAARC Summit with his Indian counterpart Sushma Swaraj during his recent two-day visit to India. Gyawali has reportedly made it clear that Nepal, as a SAARC’s current Chair, is not willing to make any further delays in conducting the Summit. Talking to Indian journalists, Gyawali questioned as to why the two countries could not sit and address the pending issues. “Nepal is always in favor of broader regional and meaningful cooperation. There is no alternative to sitting together for talks and finding solutions to the problems. If [Donald] Trump and Kim [Jong-un] can meet, then why not countries in our region?” reads Gyawali’s statement. The 19th SAARC Summit due in 2016 has been cancelled after New Delhi rejected Pakistan’s invitation to Prime Minister Narendra Modi to attend the SAARC event in Islamabad. Paving way for the stalled 19th SAARC summit, Nepal Prime Minister KP Sharma Oli met Pakistan’s former PM Yousaf Raza Gillani on December 02, 2018. This discussion took place on the side-lines of Gillani’s Kathmandu visit for the Asia Pacific Summit 2018. During the meeting, Oli expressed his intention to make South Asian Association for Regional Cooperation (SAARC) effective and get the SAARC summit to commence at the earliest. “We want to see the SAARC summit convening and handover the chairmanship at the earliest,” read the press statement issued by the Nepal PM Secretariat. Oli opines that it is high time that the SAARC summit ’s 19th edition is hosted. The important summit postponement in November 2016 over India-Pakistan indifferences. In November 2016, Pakistan was supposed to host the summit. However, the meet was cancelled when SAARC nations such as Afghanistan, Bangladesh, Bhutan and India boycotted stating that they lacked a friendly environment for holding the summit. Pakistan was held responsible for promoting terrorism, a claim which Pakistan strongly denied. Following the row, Nepal has been patiently waiting to handover chair to Pakistan and making significant efforts to hold the summit’s next edition there. According to Nepal PM’s Foreign Affairs Advisor Rajan Bhattarai, Gillani expressed’s commitment to SAARC and its readiness to host the summit. Besides the SAARC discussion, Oli and Gilani also spoke about strengthening trade and investment among South Asian countries. Gilani also appreciated Nepal for its efforts on achieving political stability and progress. Days after the successful 4th BIMSTEC Summit, Former Nepali PM and Chairman of ruling Communist Party of Nepal Pushpa Kamal Dahal (Prachanda) said Nepal was keen on taking ahead the SAARC Summit in its next move. Prachanda made these sensational statements on the side-lines of his four-day bilateral visit to India in the last week concluding on September 09, 2018. As part of his four-day visit that he called ‘productive’, the former Nepali PM reportedly expressed his government’s commitment to revive the stalled 19th SAARC Summit at the earliest possible. Ruling out misconceptions over BIMSTEC as replacement to SAARC, Prachanda said on September 07, 2018 that SAARC and BIMSTEC support each other and are not substitutes to one another. “Some of India’s neighbours are jealous about the progress of BIMSTEC. SAARC is not an alternative to BIMSTEC. India has to improve its diplomatic outreach in Nepal backed by timely implementation of bilateral and BBIN projects,” says an expert who closely followed BIMSTEC. Prachanda had informed that the Pakistan Government already urged India for its decision on rescheduling of the SAARC Summit. Explaining more on his India visit, Prachanda informed that they discussed various key issues pertaining to Indo-Nepal bilateral ties and the region. “It is rare to have long discussions with top leaders during bilateral meetings but this time it was a good opportunity for me. I had a discussion with PM Narendra Modi and other Indian leaders on various issues related to the two countries. 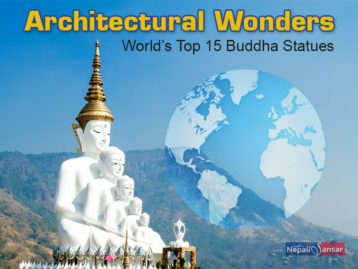 This has given a very positive message to both countries,” said Prachanda. Speaking to Nepali media on his return, Prachanda said they also discussed on past leadership agreements agreed upon by India and Nepal along with issues pertaining to trade deficit, cross-border and post-quake reconstruction. 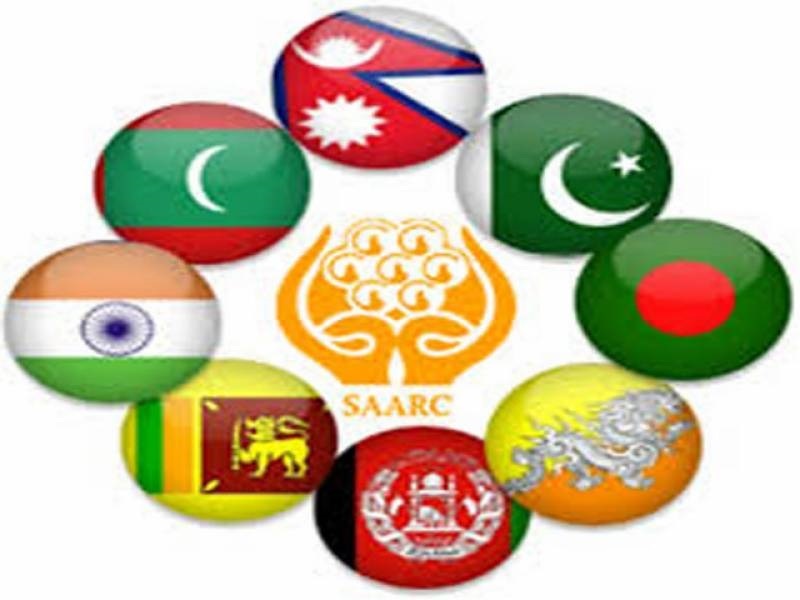 Revival of SAARC gains significance in view of the 4th BIMSTEC Summit that reportedly addressed some of the key issues that SAARC couldn’t. 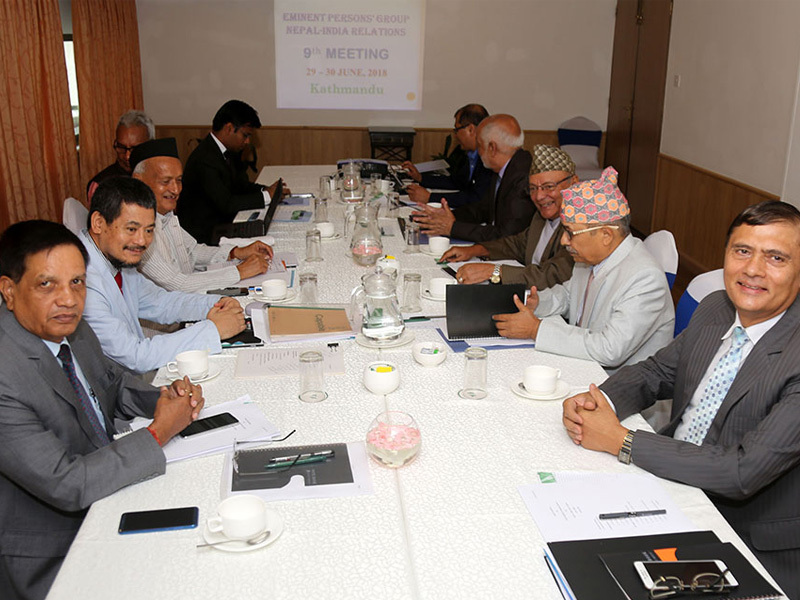 Will have to wait to see what the latest Nepal-India bilateral discussions will lead to pertaining to further actions on the 19th SAARC Summit that was supposed to take place on November 2016 and got postponed due to some reasons. Nepal is currently the SAARC Chair, which will be handed over to Pakistan in the 19th SAARC Summit. 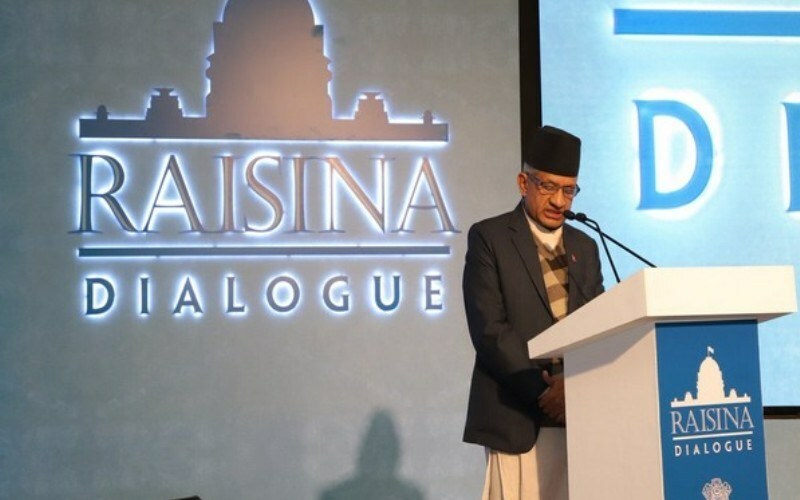 Raisina Dialogue 2019: Nepal Urges India on Nepal-India EPG Report!